Railpictures.ca - Bill Thomson Photo: Amtrak F40PH 345 arrives with the US-bound “Maple Leaf” from Toronto at VIA’s Niagara Falls station, while a pair of VIA RDC’s wait on the adjacent track to depart the station for Toronto. | Railpictures.ca – Canadian Railway Photography – photographie ferroviaire Canadienne. 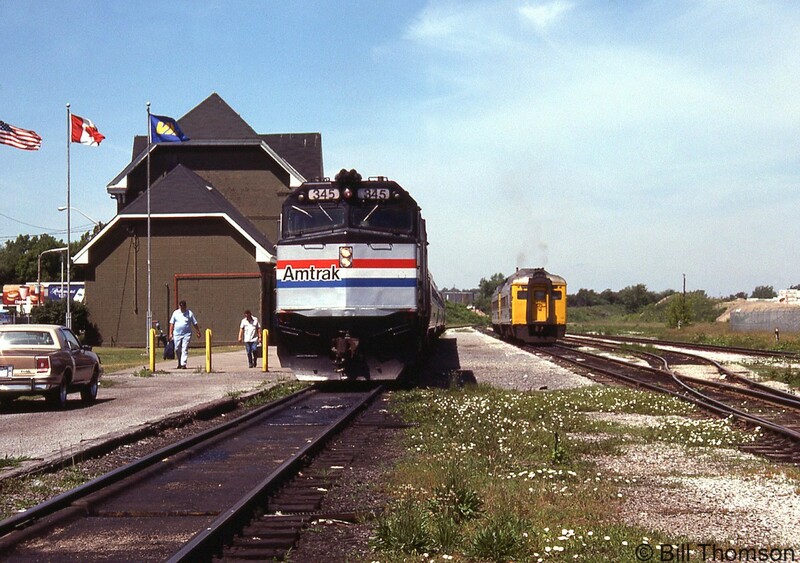 Caption: Amtrak F40PH 345 arrives with the US-bound "Maple Leaf" from Toronto at VIA's Niagara Falls station, while a pair of VIA RDC's wait on the adjacent track to depart the station for Toronto.